The Center for Radiation Protection Knowledge provides downloadable models, data files, computer codes, and help files that provide ready access to data of interest in the radiation protection of workers and members of the public. This collection includes the models, elemental and radionuclide data, and supporting documentation necessary to describe the behavior of inhaled or ingested radionuclides. Please refer any technical questions about the models, databases, or documentation to Dr. Keith Eckerman. This toolbox provides ready access to data of interest in radiation protection of workers and members of the public. This package was developed for the U.S. Nuclear Regulatory Commission and is documented in ORNL/TM-2004/27. The software runs on a PC under Windows 98/NT/2000/XP to provide access to the data through a single GUI. The data include dose coefficients for intakes of radionuclides, exposure to radionuclides distributed in the environment, and for exposures to photon and neutron radiation fields. Other supportive data include interaction coefficients for alpha, electron, photon and neutron radiations, nuclear decay data, biological and physiological data, and supplemental information on various topics. The ORNL TM report is included in the download. During the installation elect to ignore any messages regarding file updates. The NRC Rad Toolbox Web page is located at: http://www.nrc.gov/about-nrc/regulatory/research/radiological-toolbox.html. DCAL is a comprehensive software system for the calculation of tissue dose and subsequent health risk from intakes of radionuclides or exposure to radionuclides present in environmental media. DCAL was developed for the U.S. Environmental Protection Agency and is documented in ORNL/TM-2001/190. The software runs on a PC under Windows 98/NT/2000/XP. The system includes extensive libraries of biokinetic and dosimetric data and models representing the current state of the art. DCAL maybe used either in an interactive mode or in a batch mode and is intended for experienced users with knowledge of computational dosimetry. This package installs the nuclear decay data of ICRP Publication 38 and the three Windows-based codes. The code WinChain assembles the decay chain and provides guidance regarding the truncation of the chain. RadSum provide a brief summary of the emitted radiation for the user supplied radionuclides. The DexRax utility extracts from the master files, the decay data for user specified radionuclides. This package is the ORNL numerical solver (Windows version) for the coupled set of differential equations describing the kinetics of a radionuclide in the body. Several example input files are provided as a guide in using the package. This is a viewer of the risk coefficients tabulated in Federal Guidance Report 13 and the age-specific dose coefficients calculated during the course of preparing Report 13. This is the current version (Ver 2.1) of the viewer software. This is a Windows help file detailing the age-specific biokinetic models and elemental data used in the calculations of the risk coefficients of Federal Guidance Report 13. The dose coefficient files and source code (FORTRAN) illustrating how to use the use the data files within an assessment code. This package is documented in ORNL/TM-13347. The dose coefficients for inhalation and ingestion intakes are those of ICRP Publication 30. The coefficients for external irradiation are from FGR-12. The download module, setup_DCF will install the files, source code, and executable. The code is a console application and hence runs under either DOS on Windows. These MS-DOS codes look up the dose coefficient from intakes of radionuclides from Federal Guidance Report 11 (ICRP Publication 30) and those for external exposure are from Federal Guidance Report 12. 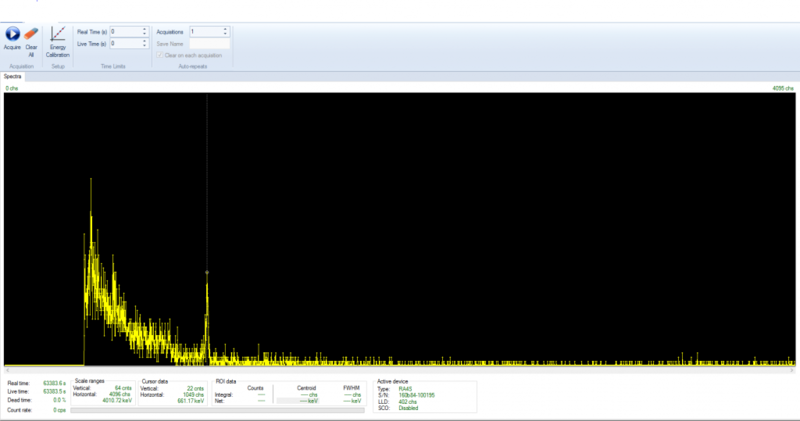 Truecoinc is a free Windows utility for calculating TCS corrections. It can be obtained by ordering a printed (comes with CD) copy of http://www-pub.iaea.org/MTCD/publications/PDF/te_1275_prn.pdf. The software can interface directly with AMETEC/ORTEC’s GammaVision and is also distributed worldwide by the company. 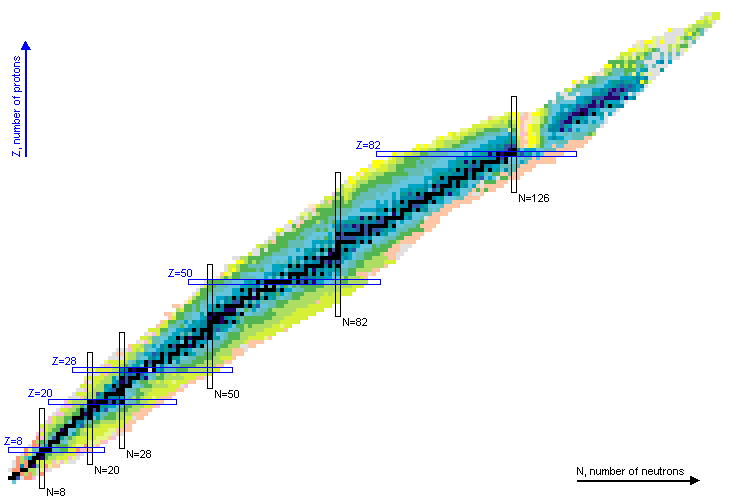 A commercial software: “GESPECOR software has been developed initially for the computation of the self-attenuation corrections and of the coincidence-summing corrections useful in high resolution gamma ray spectroscopy. Later the computation of the full energy peak efficiency and of the total efficiency was added”. ETNA is an application for conducting efficiency transfer operations and some coincidence summation correction. 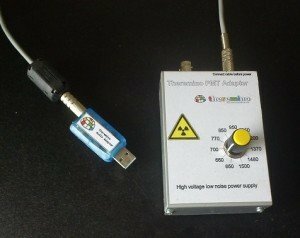 Theremino pmt adapter arrived recently and I have been experimenting with it, I currently feel more comfortable with pic scaler power supply, but I’m sure that further practice I will gain confidence in using it as a more mobile system. Technologically Enhanced Radioactive Material (TENORM) to a lesser degree. Chernobyl fascinates me to a fair degree, although I find the current Fukushima situation difficult to get reasoned scientific information amid media/internet waffle- some of which clearly is totally devoid of common sense or reason.